Breast cancer is the most common cause of death among the women and risk of breast cancer is getting double in every 10 years. It is the most prevailing cancers in United State. It can also affect men, but women are more likely to suffer from the breast cancer. It is found from the survey, done in 2012, there were 1 Lakhs 45 thousand (approx.) new cases reported in India alone, in which approximately more than 40% were fatal, moreover death rate is increasing every year. Late treatment and diagnoses are the main cause of mortality; shyness and lack of awareness may be the reason of late account. Brest cancer is the abnormal or uncontrolled growth of the breast cells, which may occur due to the mutation or some abnormal genetic changes in the cells. Abnormal growth may occur in the glands, ducts and the nearby lymph nodes of the breast and over time it is possible that these cancer cells can invade nearby healthy cells, tissues and the organs such as liver, lung, etc. Genetic abnormality and heredity are the main causes of breast cancer. Breast cancer is the most common type of cancer worldwide, which have more occurrence in the developed countries and it is the second leading cause of death in females. Turmeric is an age old herbal remedy, known as a Haldi, Haridra or Indian saffron or golden spice that is commonly found in the Asian countries. Turmeric and its active constituent “Curcumin” have been used to treat and prevent a number of illnesses. From various researches it is concluded that people who often use “Curcumin” or “Turmeric” on a daily basis as a household spice have low rate of several cancers including breast cancer. Turmeric prevents the early stage as well as the advance progression of the cancer and fast progression of the malignant cells can threaten survival just by spreading to the adjacent tissues or organs, which is the principle cause of death. 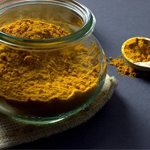 How turmeric or curcumin helps Breast Cancer? 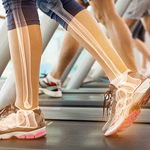 Disrupted cell DNA undergoes a number of changes that form tumour, which can proliferate nearby organs, thus it is important to protect the DNA or the cancer prone or DNA damaged cells. It has proven from various researches that turmeric shows anti-tumor and chemo-preventive activities against breast cancer. •	Curcumin can modify the various activities associated with the cell such as cell survival, cell proliferation, various enzyme activities, transcription factors, inflammatory cytokines and protein expression activity. •	Curcumin protect and stabilize the DNA thus preventing the initial step of cancer occurrence. •	Curcumin modulates cell phase related genes, micro RNA and apoptosis in cancerous breast cells. •	It regulates the anticancer effect, through a complex pathway known as a molecular signal pathway, which involves ER or estrogen receptors, HER2 (human epidermal growth factor receptor 2) pathway, and cell proliferation. •	Curcumin suppresses NF-κB signalling pathway and inhibits invasion, cell growth and multiplication. •	It is proved from various research that curcumin works as phyto-estrogen, when consume, it competes with the natural estrogen existing in the body thus inhibits breast cancer cell growth. •	Curcumin shows anti-apoptotic activity by inhibiting the apoptosis pathway and blocks the pro-apoptotic factors. •	Curcumin protects the special gene known as p53 (this gene prevents cancer formation and gene mutation) that can completely block the DNA damaged cell or malignant cell. P53 works as a natural safeguard inside the cell DNA, if there is any DNA damage is detected, p53 orders the cell to die, hence protects the other healthy cells. •	Turmeric or curcumin blocks the signal transduction process that helps the cancer cells to grow, estrogen works as a signal carrier, and thus curcumin prevents the estrogen to carry signals to the other cancer cells. •	It also prevents the cell communication system among the malignant cells. •	Curcumin neutralise the effect of toxins that may infect the nearby cells and the tissues, it inhibits the various growth factors that contribute in cancer growth through angiogenesis or the formation of new blood vessels and cells. •	Curcumin helps white blood cells to search and destroy the malignant cells. Curcumin inhibits the specific protein secreted from the tumour cells that help to hide them from the attack of immune cells. •	Curcumin prevent and suppress the growth of malignant cells by interfering with the cell cycle, preventing metastasis and invasion of the healthy cells through regulating the cell cycle protein, expression of cytokines, various enzymes and the growth factors. •	Curcumin inhibits the tumour spread to the distant organs by resisting the enzymatic action, which is secreted by the malignant cells. •	It inhibits the survival and proliferation of cancerous cells. •	Turmeric encourages apoptosis and damages the cell division in the breast cancer cells. •	Turmeric is an anti-inflammatory, which eases the breast cancer symptoms and pain. 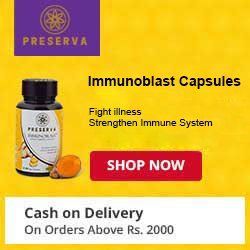 •	It promotes healthy cells and destroys malignant cells. It is clear from the above facts that turmeric and its active component “Curcumin” can help breast cancer better than chemotherapy drugs just by killing the malignant or cancer cells without harming the healthy cells, nearby tissues and other organs. It also lessens the need for surgery and the radiation therapy that often required for the breast cancer along with the specific medication.